Reassurance shield as Indiana 3 begins. 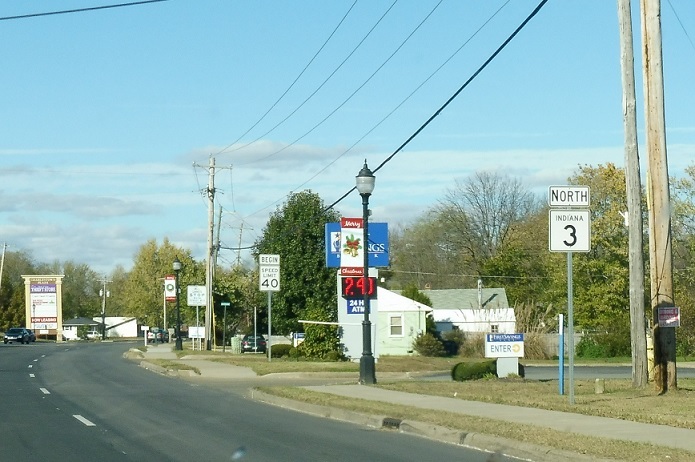 On the north end of Charlestown, turn left for CR 403, which used to be Indiana 403. 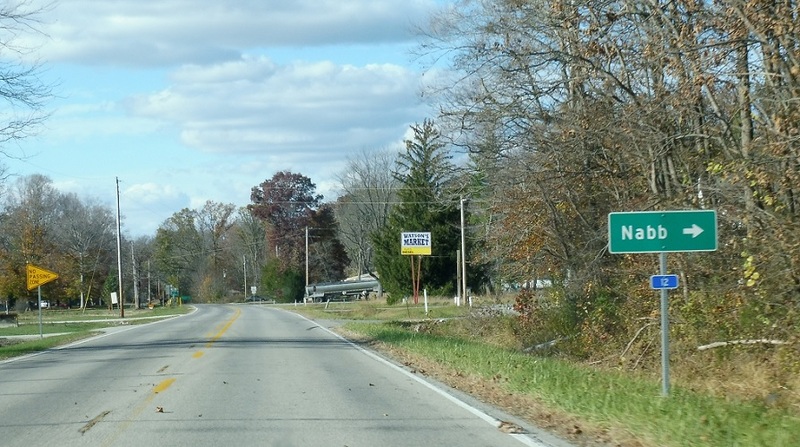 At CR 403, stay straight for Indiana 3 north. 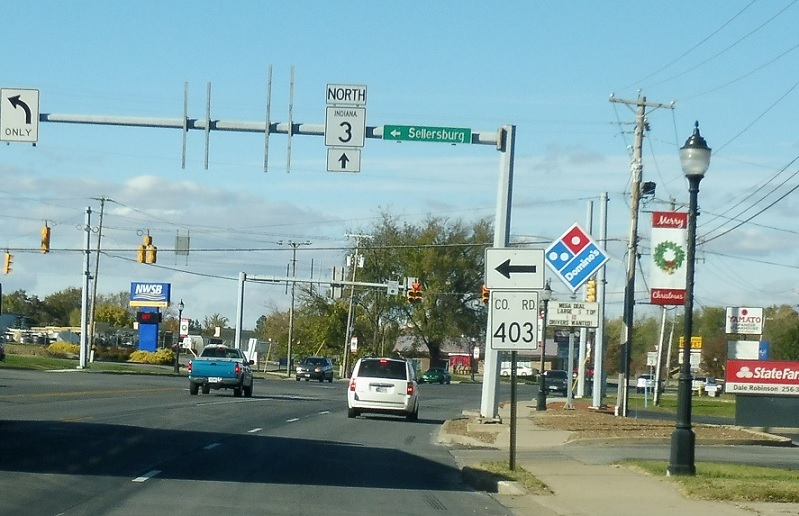 Follow 403 to Sellersburg. 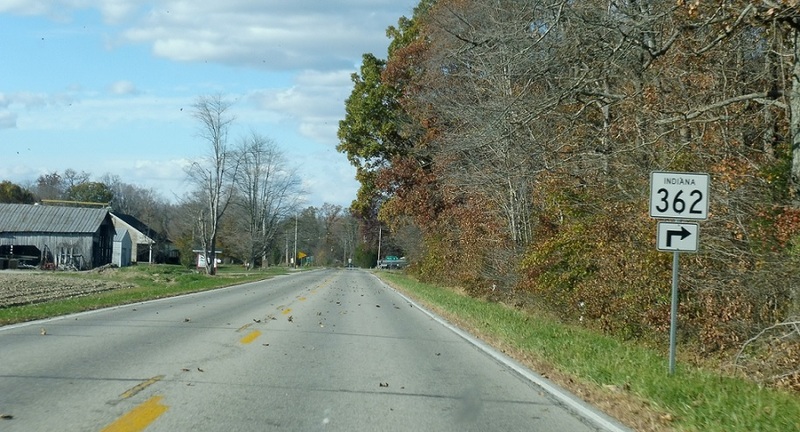 Reassurance shield after Old SR 403. 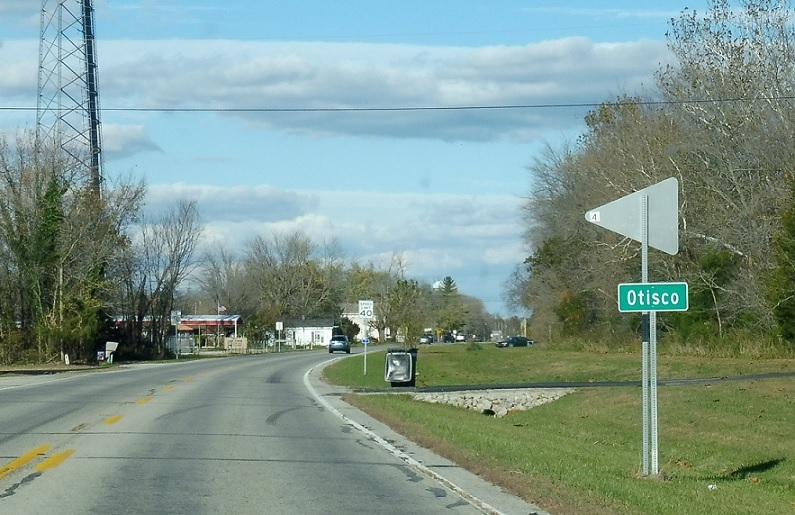 A few miles later, we’ll pass through unincorporated Otisco. 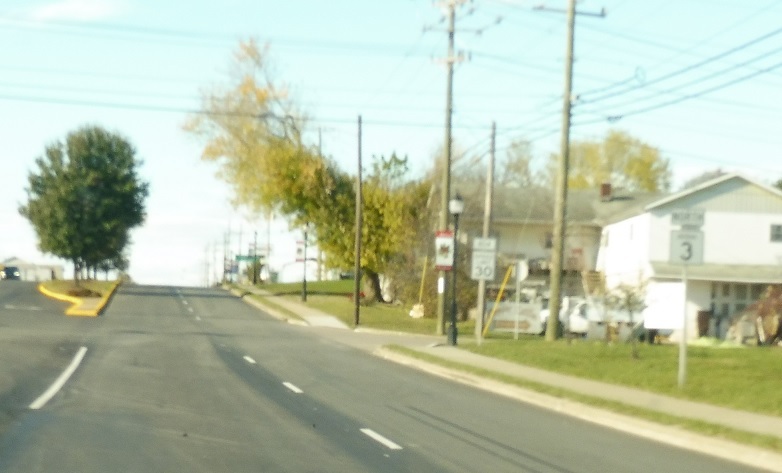 Reassurance shield as we head out of Otisco. 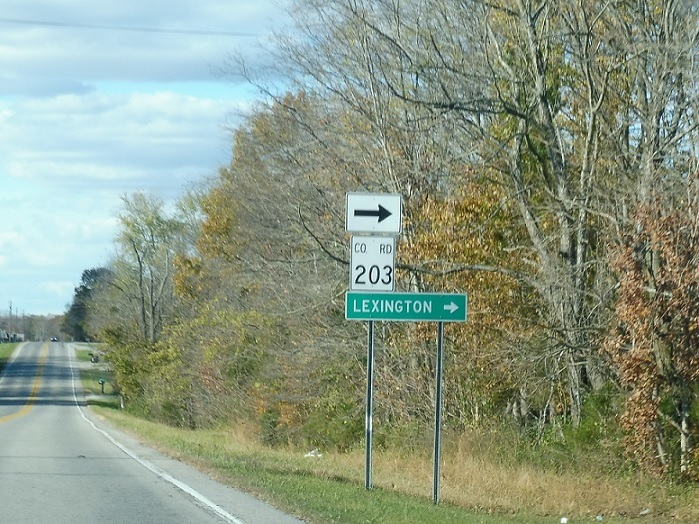 A few miles later, turn left for CR 203/Old SR 203 towards Lexington. 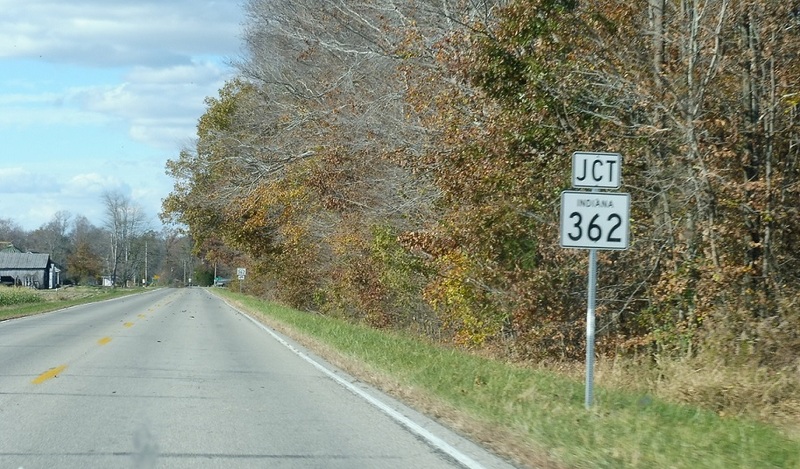 Just after that, we’ll approach SR 362. 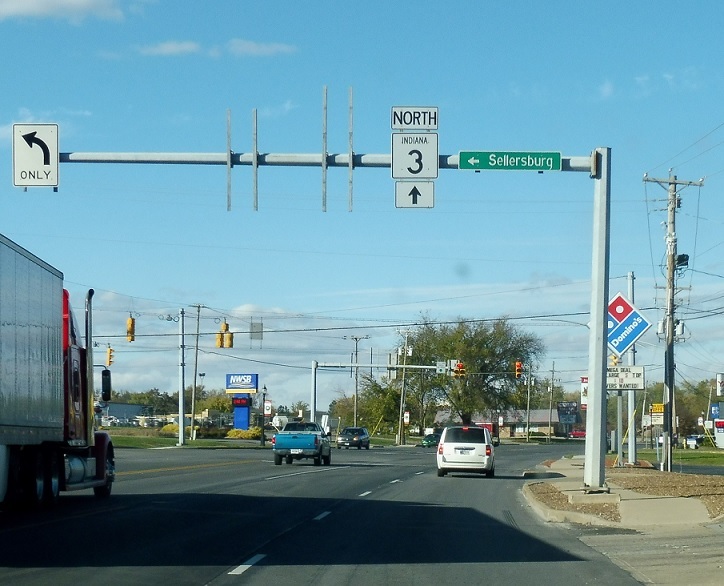 Turn right for SR 362 ahead. 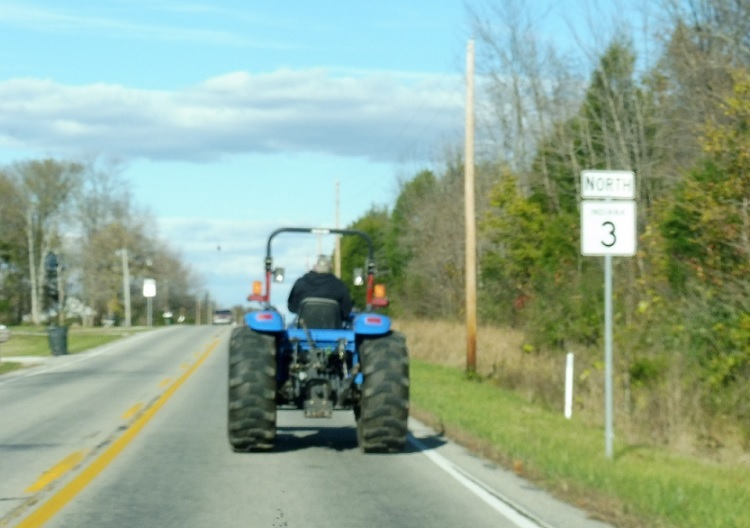 Follow 362 east to Nabb. 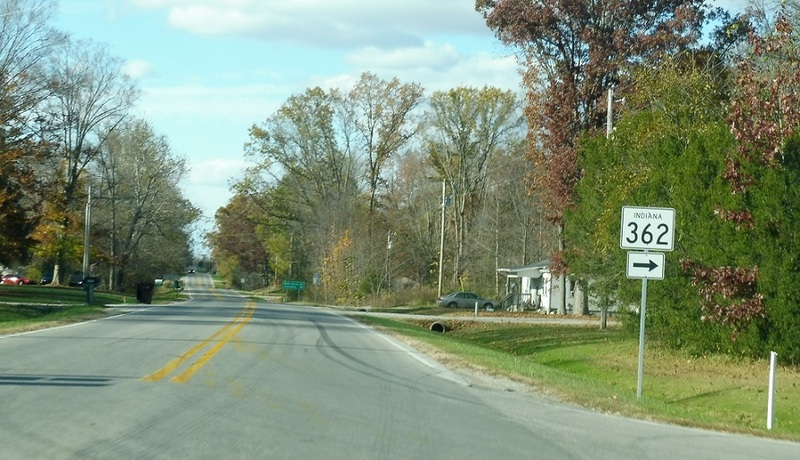 Turn right for SR 362 as we enter Scott County.